Could you tell us a bit about yourself and your academic background? I have a Master of Applied Sciences in Mechatronics and Robotics from the University of Applied Sciences Technikum Wien in Vienna, Austria, with a focus on automisation and production and industry robotics. For my master’s project I worked in collaboration with an industry partner on optimising the visualisation of an assembly line to improve production efficiency. I was always interested in doing something in the food industry. After completing my engineering studies in 2009, I spent one year studying nutrition and food sciences at the University of Vienna. The first year courses were not technical enough and it just didn’t feel right, so I set out to find a job in industry. As I have always been passionate about the environment I took a job in an environmental engineering company as a computer aided engineer. We worked on flue gas treatment, using technologies to clean the air after combustion power plants (coal, gas, refineries, waste to energy, etc). I was responsible for 2D Plans, process flow diagrams, piping and instrumentation diagrams and functional plans. After about 3 years I was made group leader of the computer aided engineers. I wanted to further improve my technical expertise of what we were actually doing so I switched to the process engineering department. There my job involved everything from early estimate calculations for proposals, detail engineering and programming of the procedure to the commissioning of our equipment on site. I have always had the urge to learn and do more so while I was employed, I also completed several courses of an environmental studies certificate program at the Fernuniversitaet Hagen. After nearly ten years in this field I decided it was time for a change. 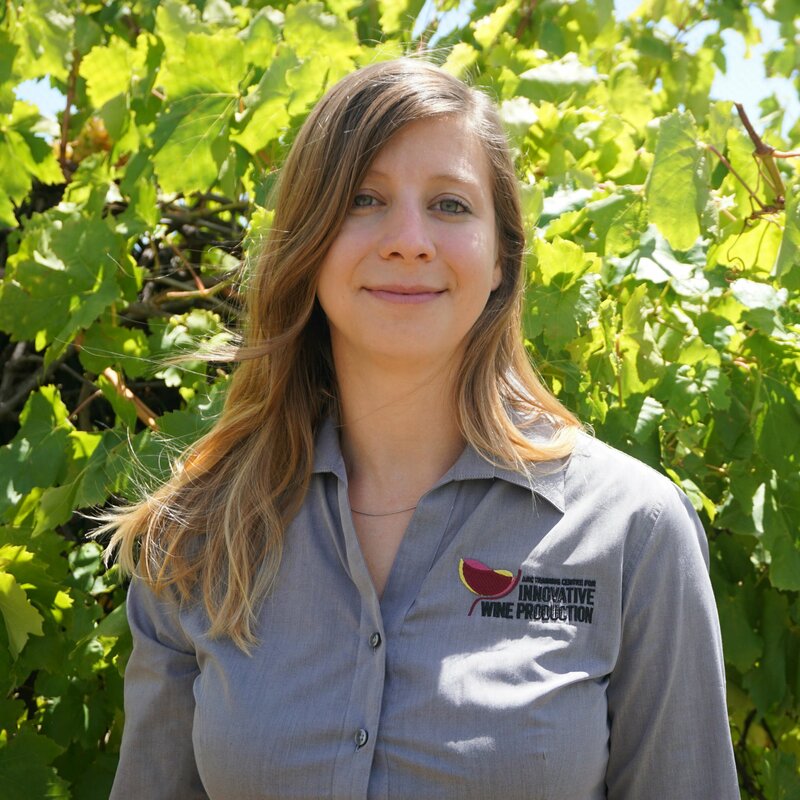 The University of Adelaide has an excellent reputation and the PhD project with the ARC Training Centre for Innovative Wine Production is a great opportunity for me to combine my passion for research and the food production industry with my knowledge and expertise in the production industry and process control. Could you introduce us to your project and what it involves? The aim of the project is to increase the efficiency of red wine making by monitoring the extraction of colour and polyphenols during fermentation. The quality of red wine is highly dependent on phenolic compounds that are extracted from the grapes into the wine during fermentation. These compounds influence the colour, mouthfeel, bitterness and astringency of wine, yet there are no automated process controls used in the industry to monitor and control phenolic extraction. The proposed approach could account for batch to batch and vintage variation to produce wine with desired properties and quality. Building on preliminary data, mathematical simulation models of the polyphenol extraction will be developed and further improved by additional data collection of industry scale fermentations. A Matlab model will simulate the extraction of anthocyanin, proanthocyanidin and the formation of derived pigments during fermentation. Data collection will be via controlled, replicated laboratory experiments as well as with samples collected from industry fermentations from our industry partner Pernod Ricard. The developed models will significantly enhance existing understanding of mechanisms and pathways involved in formation and extraction of phenolic compounds that are critical to wine quality. These models will then lead to predictive tools that can be implemented into a process control system to optimise extraction and increase efficiency in red wine production and its plant availability. What can you see yourself doing in the future? Who knows what the future will bring? If you had asked me a few years ago the answer wouldn’t have been pursuing a PhD in wine science at the University of Adelaide, but here I am, and I am happy and excited to be here! I began in November 2018 so the next few years I see myself being involved in this research project, developing my skills and knowledge further. I look forward to the opportunity of seeing this project grow and the impacts it could have. I also enjoy this work as it is a good balance of basic research and its application to industry. This puts me in a great position to follow an academic or industry career after completing my PhD.